I have a theory that everything in America is too big. Our giant SUVs, our massive credit card balances, our food portion sizes, and yes – our cribs. 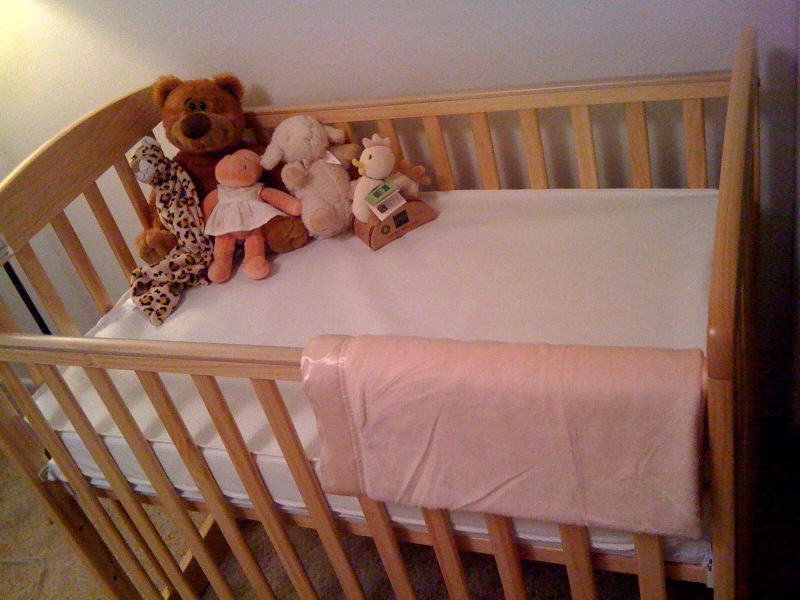 A full-size crib is just HUGE compared to the size of a baby! Seriously, I feel like my kid would get lost in most of them. Space is definitely at a premium in our ocean-view apartment, so I needed to find a sturdy cradle for my daughter that wasn’t big enough for my husband to fit in. After a lot of searching, we finally decided on the DaVinci Alpha Mini Rocking Crib. It arrived last night, and I managed to put it together in less than 30 minutes. I honestly couldn’t be happier. The wood color is beautiful – and the size is more than adequate for a little one. During my research I found out that in Europe – all cribs are “mini.” That is just the standard dimensions of all of their baby beds, and European children manage to sleep comfortably in them for around two years, at which point they move into a twin or toddler bed. We ended up getting a steep discount too from Baby Cribs Plus : the crib was just $99 (from $165), with no tax, and free overnight shipping.